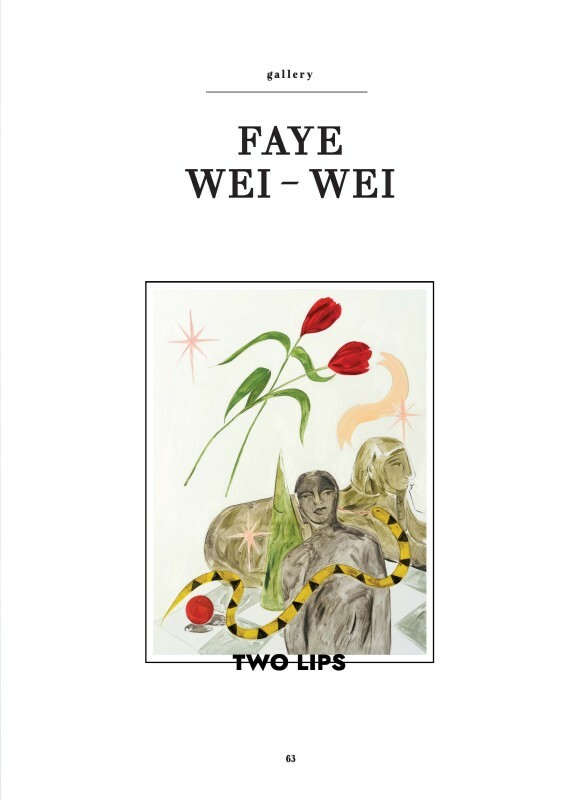 British painter Faye Wei Wei graduated from the Slade School of Fine Art in 2016, then swung fearlessly onto the art scene. Her first solo exhibition at the Cob Gallery, 'ANEMONES AND LOVERS', was a commanding recasting of gender in familiar, folkloric figures. Each of her large-scale canvases reads like a still from a fairytale, strewn as they are with lions, snakes, knights and damsels. Biblical and classic mythical symbols float through mesmeric dreamscapes, anchored only by her distinctive mark-making.